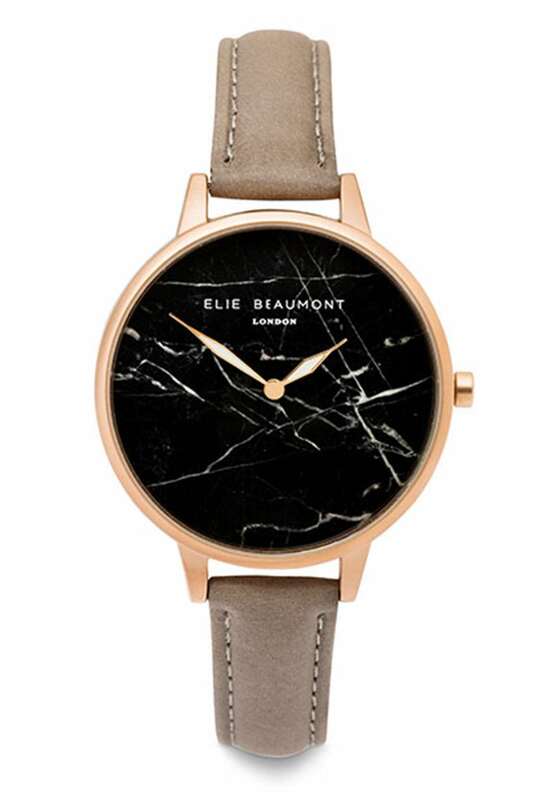 This Elie Beaumont Richmond watch features a black mable face with a rose gold surround, taupe Nappa leather strap. Made with a piece of real marble, each watch face contains natural variations therefore making each one completely unique. Supplied in a luxurious gift box, ideal for gifting.